After using Docker in development, you might want to put your application into production. Depending on your need, you might not want to push your private Docker images for your application to the Docker Hub, but have a private registry instead. Docker has been providing the private registry on GitHub for a long time and it works pretty well. The downside is that it doesn't provide security features like RBAC. That's where 3rd party solutions kick in. We've been evaluating several solutions like AWS EC2 Container Registry (ECR) and others. 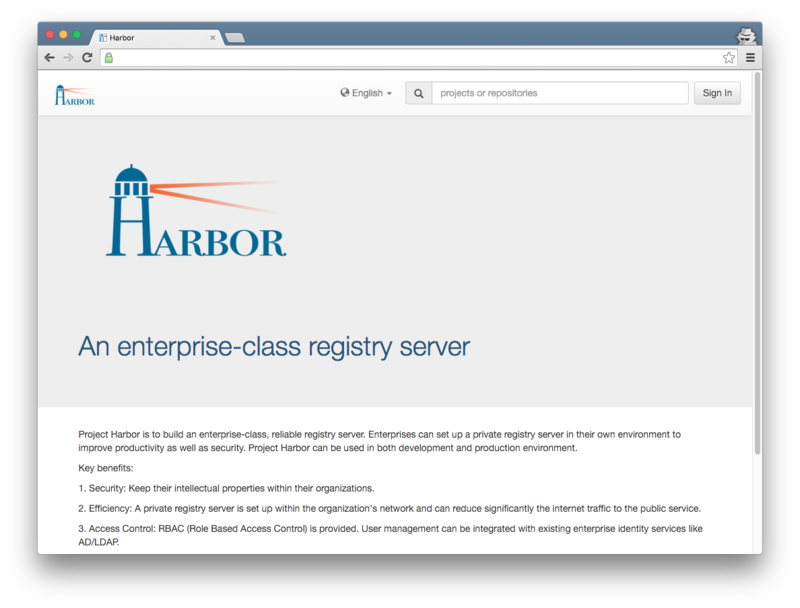 In the end, we're now running on Harbor, an Open Source registry server from VMware build around the aforementioned Docker registry. Access Control: RBAC (Role Based Access Control) is provided. User management can be integrated with existing enterprise identity services like AD/LDAP. Audit: All access to the registry are logged and can be used for audit purpose. 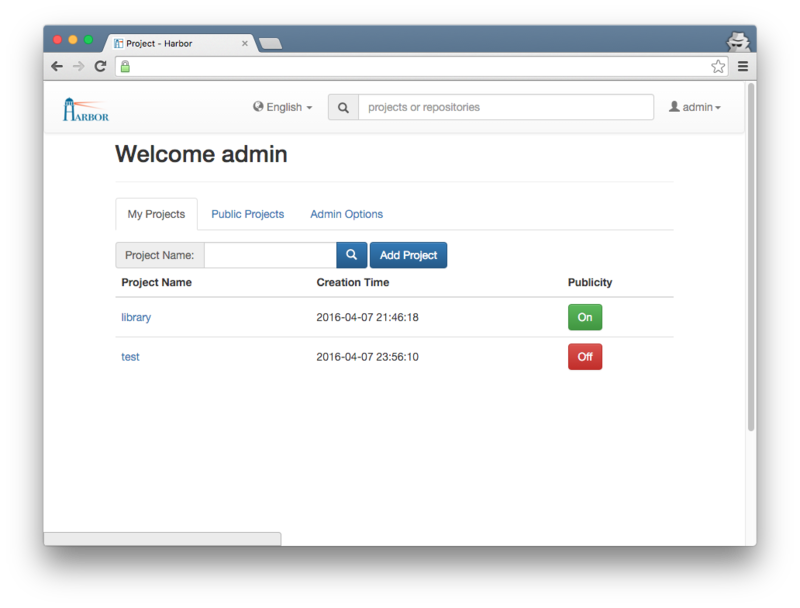 GUI: User friendly single-pane-of-glass management console. The Harbor User Guide shows some more screenshots. 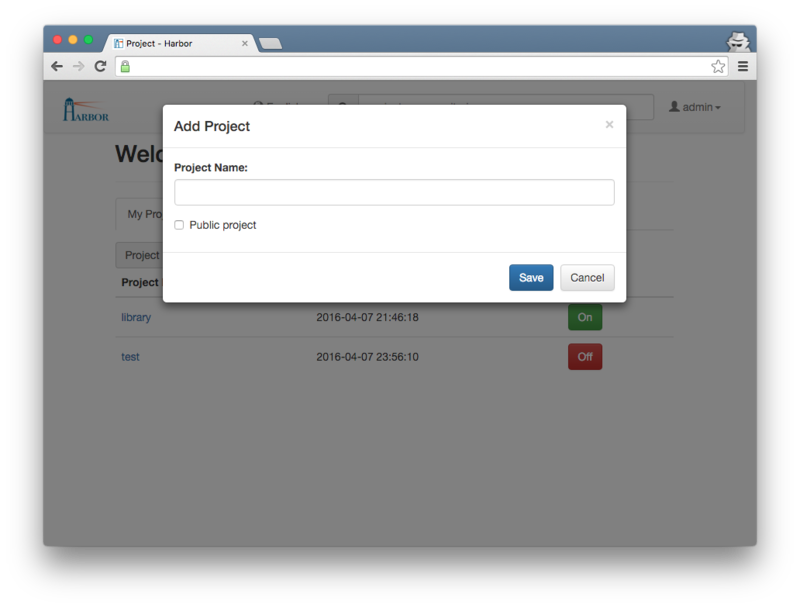 The goal of this post is to get a Harbor instance running on DigitalOcean with HTTPS enabled using Docker Machine. I'm assuming that you're familiar with Docker Machine basics and have it up and running. Furthermore, you'll need to have the Docker engine and Docker Compose installed which are required by Harbor for deployment. And because we want to enable HTTPS, you should have grabbed a certificate from DigiCert or somewhere else. Inside the Deploy folder there are several configuration options within the harbor.cfg file. Inside the Deploy/config/nginx folder there are two nginx configuration files named nginx.conf and nginx.https.conf. Then we have to modify the new nginx.conf and replace the two occurrences of harbordomain.com with our own Harbor URI, e.g. harbor.yourdomain.com. Regarding the certificate, there a two options: Use the cert filename from DigiCert (in my case) and the server.key file and modify the nginx.conf accordingly or rename the certificate to harbordomain.crt. Either case, you have to copy the cert file and the key file from your Certificate Signing Request to the Deploy/config/nginx/cert folder. This will copy the settings to their appropriate destinations. 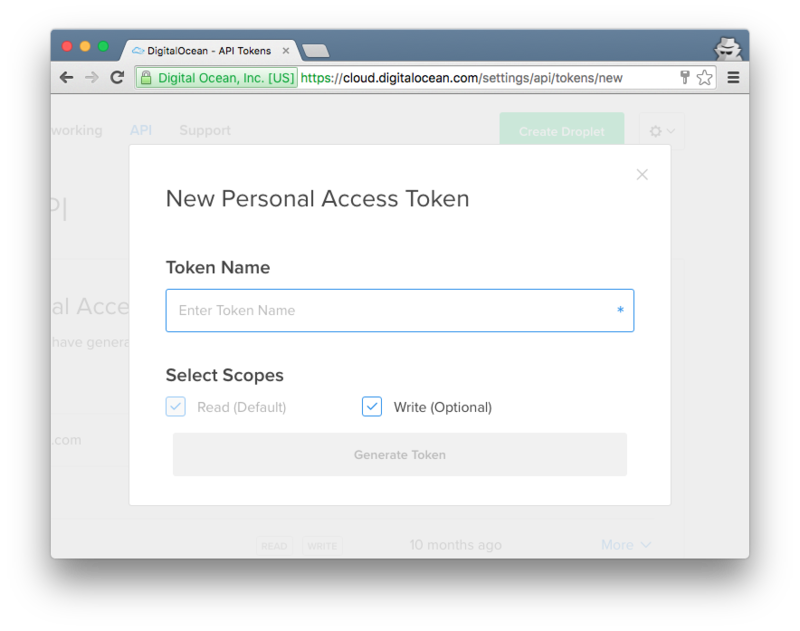 Copy your token and keep it safe, you won't see it again at the DigitalOcean website. Docker Machine provides more options for the --driver like the region. Just read the Docker Machine Driver Documentation for more. Because we want to spin up the containers required by Harbor using Docker Compose, we have to copy the settings from the Deploy/config directory first to our Docker Machine instance. 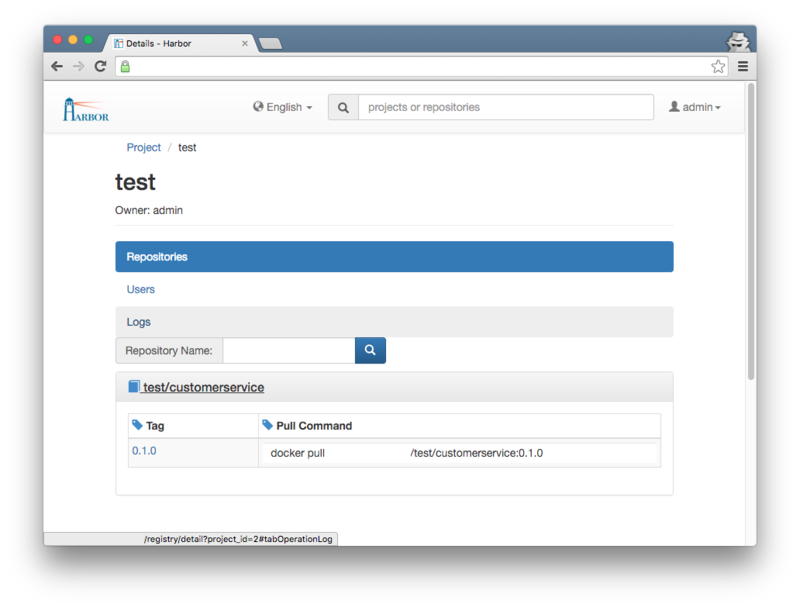 And of course, you can start pushing and pulling Docker images to and from your own registry now! P.S. : This post mostly is a combination of the Harbor Installation Guide and the Deploying Harbor using Docker Machine Guide (the latter I contributed to the Harbor project, so I didn't just copy existing stuff).